Who doesn’t hate rain? How many times have you gone out of the house without having an umbrella or even worse, your girlfriend had one, full of pink dots with beautiful hearts and cute elephants on it. The time that you were losing your respect and people pitying you is now over! I know, I know, its not a sword but its not an umbrella either. Its both! The cool thing is that you can also wear it on your shoulder with adjustable strap. 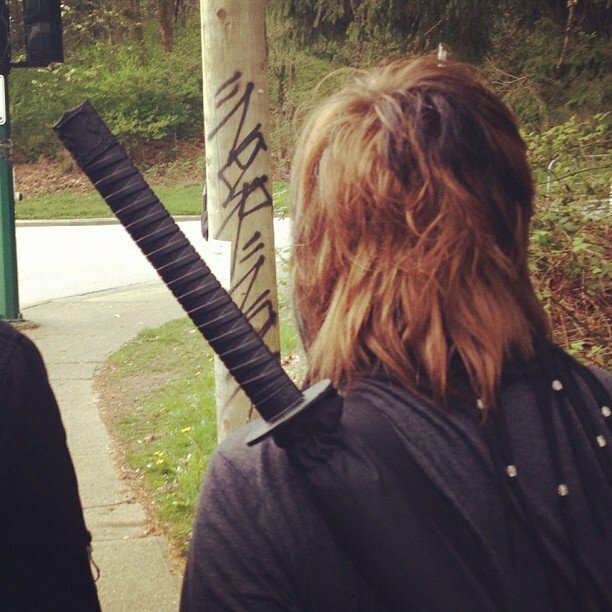 Just like you would do with any Sword at any normal day you go to work. 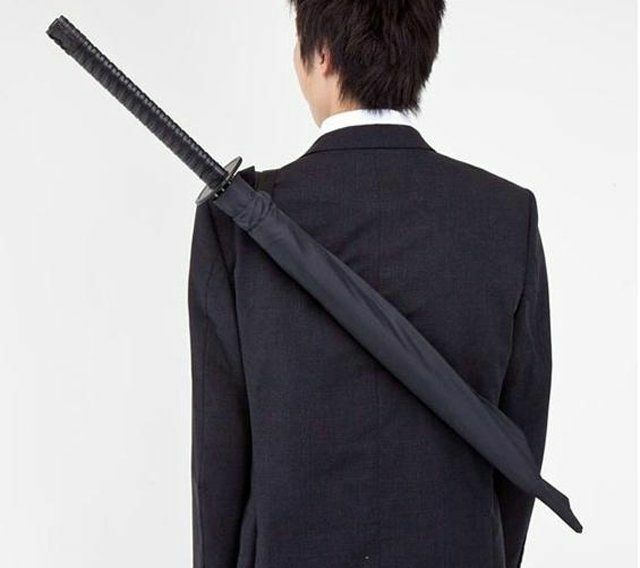 This Samurai Sword Umbrella is the perfect gift for every man (and why not for woman) who finally wants a masculine umbrella. What kind of weapon is your umbrella?